Tapper Turtle's upturned shell is the perfect place to load blocks and toys when inside or rocks and dirt during outdoor play! Push to easily roll this sturdy little vehicle to haul the load to its destination, then tip the shell to dump it all out! Durable plastic construction stands up to the demands of the "jobsite," and colors stay bright, indoors or out. 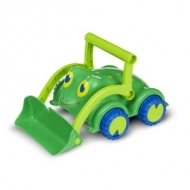 The Skippy Frog Bulldozer is ready to push, shovel and lift! 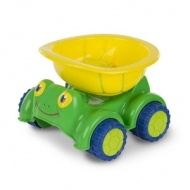 Just move him along on smooth-rolling wheels, and use the easy-to-grip plastic handle to maneuver the sturdy scoop. Durable plastic construction stands up to the demands of the "jobsite," and colors stay bright, indoors or out. Kids will really "dig" working in the yard or garden with this sweet and durable, child-sized shovel for kids six and older. A sturdy, wide metal scoop, a cheerful flower design, bright colors on the wooden shaft, and an easy-grip handle make gardening activities exciting and enjoyable! Sweeping up won't "bug" kids at all when Trixie from Sunny Patch helps out! This sturdy, kid-sized broom features the lovable ladybug on a durable molded plastic base that securely holds soft bristles. The wooden shaft has bright pink, green, and light blue hearts, flowers, and stripes. Hang from the built-in loop in the easy-to-grip handle to store conveniently between "clean sweeps"! Protect young hands and make gardening extra-colorful with these child-size gloves. 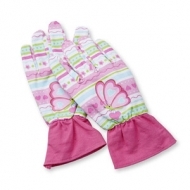 Sporting bright stripes and butterflies, these gloves, sized to fit ages three to six, are made from sturdy, high-quality, machine-washable material and feature elastic wrist closures to keep dirt out. Add instant beauty to any gardening job while encouraging outdoor exploration and promoting gross and fine motor skills. The always-happy Giddy Buggy will bowl you over with his smiling face and this exciting kid-sized bowling set! 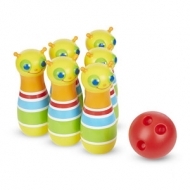 The six 8-inch-tall, multi-colored Giddy Buggy pins can be used both inside and outside--set them up then roll the included ball to knock them down. Durable construction means these pins stand up to endless tumbles. Game encourages hand-eye coordination and dexterity, and promotes early counting sills. Children will enjoy observing bugs and insects in this eye-popping bug house, featuring the ever-friendly Giddy Buggy character. 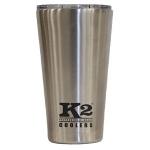 Made from lightweight molded plastic and wire mesh, it has an easy-access bug-faced door, a sturdy handle and lots of ventilation. The Giddy Buggy Bug House is designed to encourage kids three and older and families to find new and enjoyable ways to explore their world together. 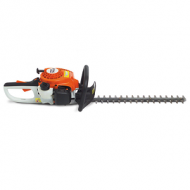 Kids will really "dig" working in the yard or garden with this bug-eyed and durable, child-sized shovel for kids six and older. A sturdy, wide metal scoop, bright colors on the wooden shaft, and an easy-grip handle with Giddy Buggy's eyes and antennae make gardening activities exciting and enjoyable! 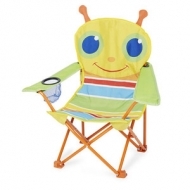 Giddy Buggy is happy to help catch moths, butterflies, and bugs on those long summer evenings! 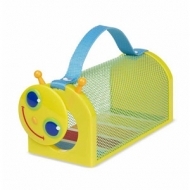 The bright rainbow-striped handle is topped with Giddy Buggy, and the long, bright green net provides lots of room for collectables. 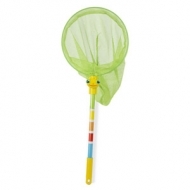 This bug catcher is light and fun to wave, while its sturdy construction, durable frame, and strong polyester netting make it perfect for outdoor play. Giddy Buggy is happy to accompany young adventurers on nature expeditions! 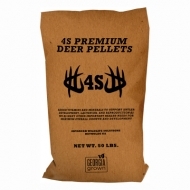 4S 20% Premium Deer Pellets are a high protein deer feed that should be fed during antler growing months (Spring/Summer). Since bucks are beginning antler growth and body mass recovery and does are nearing the end of gestation, protein requirements are higher during this period. This is not just a maintenance feed; it has been carefully formulated and designed to give deer what they need to push them to reach their full potential. 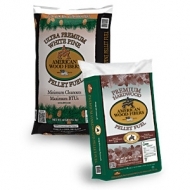 American Wood Fibers' Premium Wood Pellet Fuel is a blend of quality hardwood fibers compressed into pellets which meet the highest industry standards. By combining our wood fiber experience and the latest in process technology we provide pellets that burn longer and burn stronger. Don't depend on foreign sources of energy when you can choose an American company to provide you better value, service, and quality. 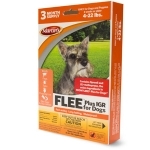 Contains Fipronil, the same active ingredient as FRONTLINE® Plus for Dogs. Fast-acting, long-lasting and waterproof. Dual Action: Fipronil with (S)-methoprene insect growth regulator effectively breaks the flea life cycle. 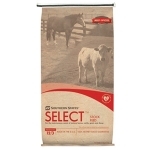 Select Stock is available in textured and pelleted formulas with 12% protein and 3% fat; especially formulated for the maintenance needs of mature horses, cattle, goats and sheep. 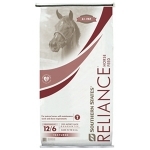 Southern States Reliance - Pelleted is ideal when searching for a feed formula with the well balanced nutrition your mature horse needs for maintenance, work and show requirements. 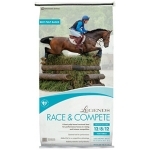 Legends Race & Compete is a textured, fixed ingredient formula specifically designed for performance horses in racing and intense competition. This highly palatable and digestible beet pulp-based feed will provide optimal fuel to maximize your horse's performance. Legends Race & Compete is a high fat formula (8% minium fat guaranteed) which provides increased calories for stamina and improved body condition under intense performance. Legends Sport Horse is a textured, fixed ingredient formula specifically designed for mature horses in light to moderate performance and show activities. This highly palatable and digestible oat-based feed will provide optimal fuel to maximize your horse's performance. 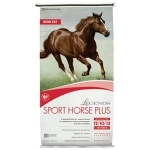 Legends Sport Horse Plus is a textured, fixed ingredient formula specifically designed for mature horses in moderate to intense performance and show activities. This highly palatable and digestible oat-based feed will provide optimal fuel to maximize your horse's performance. Legends Growth - Pelleted is a fixed ingredient formula designed to support proper growth, muscle and bone development as well as milk production. Legends is a premium horse feed line, formulated with advanced technology and the most comprehensive current research for your horse's nutritional needs. 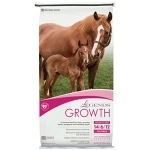 Legends Growth Feeds are controlled carbohydrate and fat feeds meeting the nutritional requirements of foals, growing horses, and broodmares. 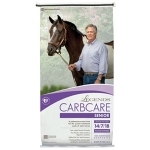 Legends CarbCare Senior is a fixed ingredient formula specifically designed for the special nutritional needs of older horses. This easy-to-chew feed provides added fat, digestible fiber sources, and is a perfect recommendation for older horses and those with metabolic issues and sensitive digestive systems. 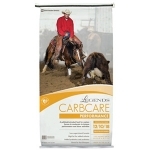 Legends CarbCare Performance is a fixed ingredient formula specifically designed for mature horses in moderate to intense performance and show activities. 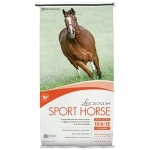 This 10% high fat feed provides increased calories for horses considered hard keepers or those who require prolonged stamina and improved body condition during high performance conditions.